Mazda Raceway Laguna Seca is humming with action during the FIM Superbike World Championship. Motorcycles from around the globe converge on the iconic racetrack for the only Superbike World Championship appearance in the United States. Friday-Sunday. 1021 Monterey-Salinas Highway, Salinas. Various ticket prices. Now is your chance to browse some of the finest collections of vintage art, glassware, books, jewelry, toys, and furniture during the 59th Annual St. Mary’s Antiques & Collectibles Show. Friday & Saturday from 10am-5pm and Sunday from 11am-4pm. 146 12th St and Central Avenue, Pacific Grove. $5. Kick of the weekend with a free concert at Carmel Plaza. Tonight the Money Band takes the stage with a food and wine package hosted by Anton & Michel, Wrath Wines and Bernardus Winery. 5pm-7pm. Ocean Avenue and Mission Street, Carmel-by-the-Sea. Free event, $15 for food and wine ticket. 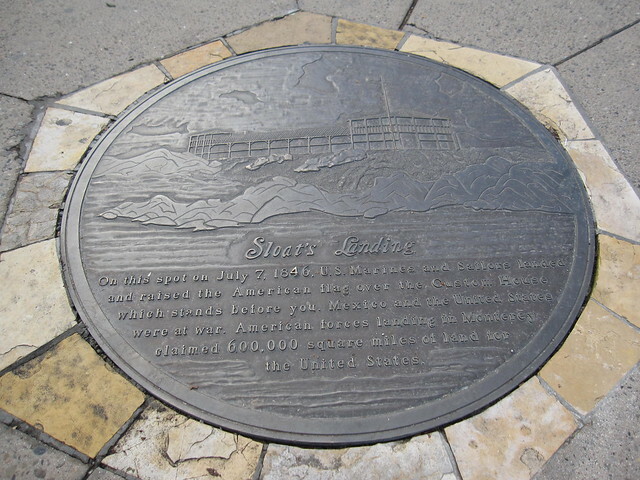 Celebrate of Commodore John Drake Sloat’s landing in Monterey today at Custom House Plaza. Re-enactors will “reclaim” Alta California, Mexico and raise the 28-star U.S. flag over Custom House during this historic ceremony. 12pm-1:30pm. 1 Custom House Plaza, Monterey. Free event. Head to Cannery Row this afternoon for the best Superbike World Championship after party. Race Night on the Row features over 5,000 motorcycles enthusiasts (and their rides) along Cannery Row for an evening full of fun and comradery. 5pm-11pm. Cannery Row, Monterey. Free event. Kick back this Sunday afternoon at Laguna Grande Park in Seaside for their Sunday Blues Concert. Listen to live music and enjoy a variety of food and craft vendors. 1pm-4:30pm. 1249 Canyon Del Rey Boulevard, Seaside. Free event.